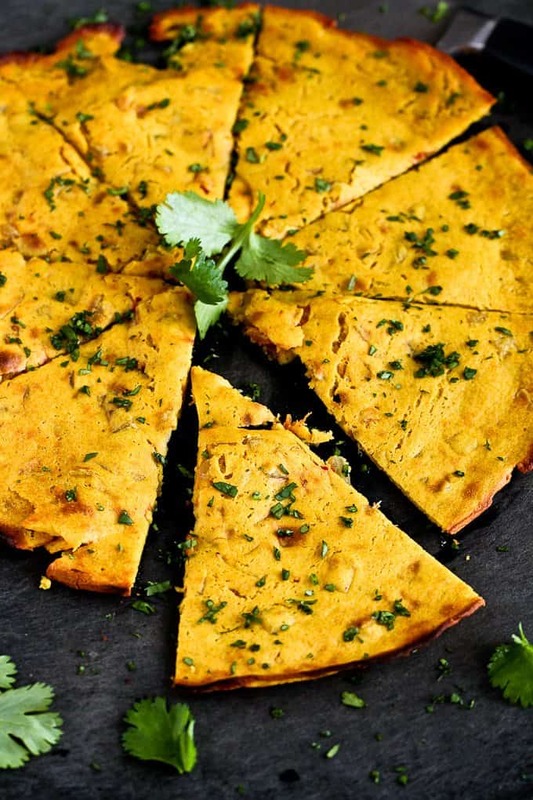 This socca recipe produces a wonderful savory chickpea flatbread that happens to be vegan and gluten free. It’s great for eating on its own or dipping into stews or curries. 100 calories and 3 Weight Watchers Freestyle SP. Thank you to USA Pulses and Pulse Canada for helping me to share this recipe with you. Sometimes you make a recipe that garners all sorts of adoring looks from your family, with multiple requests to make it over and over again. This is one of those recipes. Honestly, I don’t know what’s taken me so long to make socca, a flatbread made with chickpea (garbanzo bean) flour. Not only is it very versatile, but it really couldn’t be any easier to make. 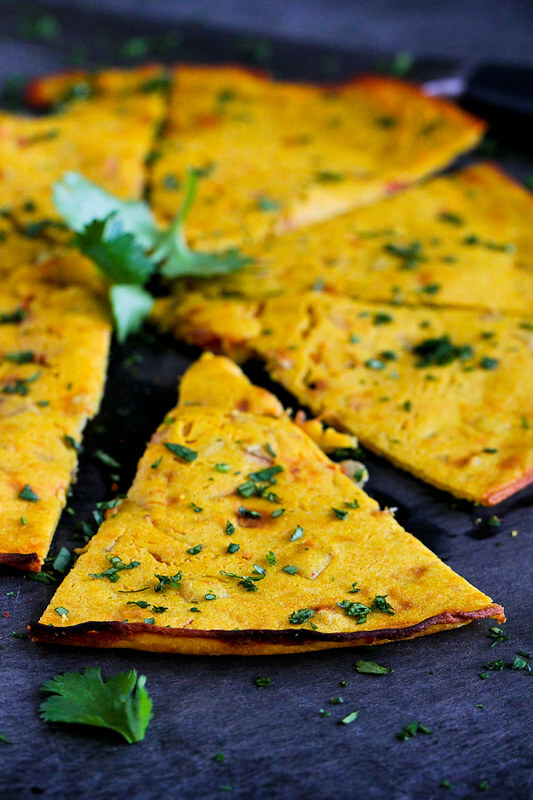 In Italy, this thin flatbread is called farinata and in France it’s known as socca. It could be compared to a pancake or even crepe, though it’s a little thinner than a pancake and slightly thicker than a crepe. The beauty of socca is that it takes only three ingredients to make a basic version: chickpea flour, water and olive oil. Chickpea flour can be found in many grocery stores and health food stores, online or in Indian markets (sold as besan). When making socca, be sure to plan ahead because the batter should sit for at least two hours before cooking. You could even make the batter in the morning and cook the socca just before dinner. If you’re following a gluten-free diet, chickpea flour is a great alternative to regular flours. In fact, all pulses are gluten-free, and be used in a variety of recipes. Do you remember when I talked about the International Year of Pulses last month when I posted my Baked Red Lentil Cakes? Pulses are a category of legumes that includes dry peas, lentils, beans and chickpeas. If you haven’t already, be sure to pop over to take the Pulse Pledge. Eating pulses at least once per week has many health benefits and you’ll want to check out the Pulse Pledge site for more great information and recipes. I decided to change things up a bit and mix some spices and savory ingredients into this socca. Believe me, that was a good call! A mixture of ground coriander, cayenne and turmeric, as well as caramelized onions, tomatoes and garlic, gave the flatbread an Indian flair. In fact, this version would be perfect for dipping into a curry in place of naan bread. Grab some chickpea flour the next time you’re at the store. I promise you’ll be hooked on socca from now on! In a medium bowl, whisk together the chickpea flour, water, 1 tablespoon plus 1 teaspoon olive oil, salt, ground coriander and turmeric. Preheat the broiler, with the rack set 7 to 8 inches from the element. Heat 1 teaspoon of olive oil in a large nonstick skillet set over medium-high heat. Add the onion and cook until starting to brown, about 2 minutes. Stir in the tomato and cook for 3 minutes. Add the garlic and cook for 30 seconds. Stir the vegetables into the chickpea flour batter. 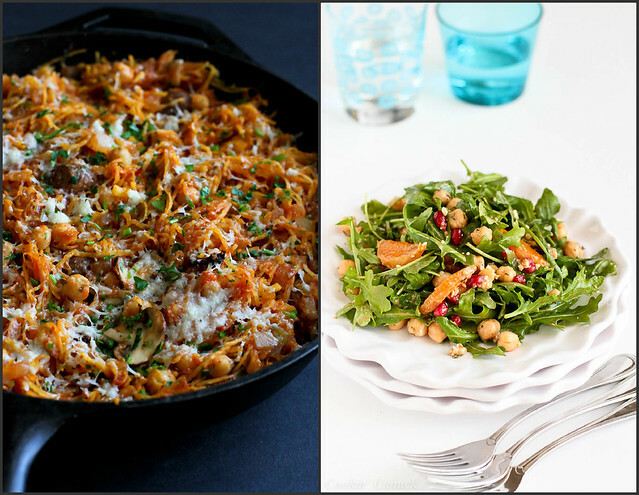 Place a large (10-inch) cast iron skillet in the oven to preheat for 5 minutes. Using an oven mitt or potholder, carefully remove the cast iron skillet from the oven. Pour in 1 tablespoon olive oil and swirl to coat the pan. Pour in half of the batter and immediately swirl to coat the bottom of the pan. Place under the broiler and cook until the top and edges are starting to blacken and blister, 4 to 6 minutes. Carefully transfer the flatbread to a cutting board, cut into 8 wedges, garnish with cilantro and serve. Repeat with the remaining 1 tablespoon olive oil, batter and cilantro. Disclosure: This post was sponsored as part of an ambassadorship program with USA Pulses and Pulse Canada. All opinions are my own. This post contains links to my Amazon affiliate page. Any revenue made from sales through these links helps to support this blog. Thank you! How have I NEVER heard of socca? This sounds like something that the hubs and I would LOVE. We’re big on anything Indian and I’ve been eating chickpeas like they’re going out of style lately. 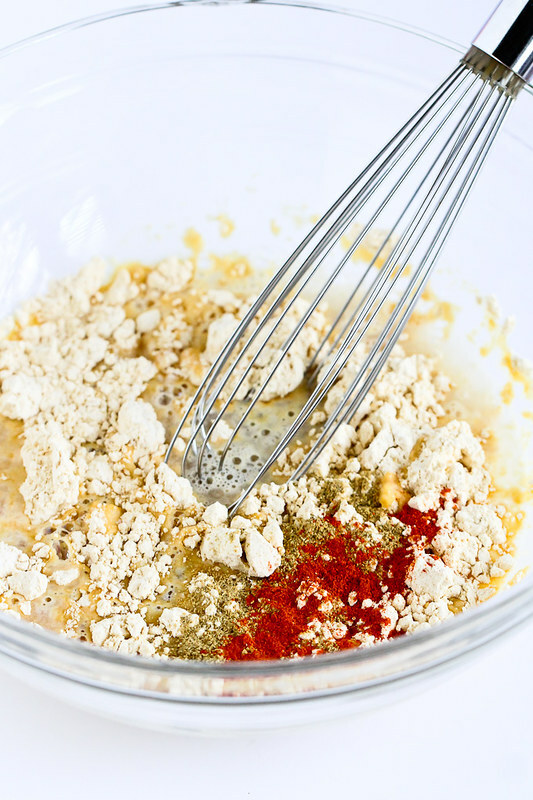 I need to get my hands on some chickpea flour…and then stuff this into my face forever and always the end. Pinned! We eat it with pizza always.. Pizza and Faina go so well together that we even eat one slice of faina on top of a lice of pizza called horse-back.. It i s cooked in a cookie sheet but I love your idea of the cast iron since it needs to be super hot. I will make this very soon for sure. Thank you for your wonderful ideas..
And look at that! I totally learned something new today. I’ve never heard of socca but love garbanzos so the flour sounds like a healthy addition to my get it in gear efforts! Great recipe Dara! Ok I wish I had seen this yesterday! We had chicken curry for dinner and this would have been perfect with it! Saving for later! I have the perfect dish to go with this recipe! Just what I was looking for! Ok I am totally LOVING this. I bought some of those quick lentils for lunches and I think this would be the perfect thing to serve with it! I haven’t heard of socca before, but I don’t know why it looks great. I think this would be great for those who are gluten free and those who are not. It is only 3 ingredients it is worth it for everyone to at least try it out. Oh my I’m craving some of this yummy flat bread. I’ve never heard of it before but it looks out of this world. Love seeing and creating new recipes!! I’m hooked and I have even tasted this! I love that this only has three ingredients! Yes it may take time but its so easy!! I have a recipe for Socca on my blog. Thanks for the reminder that I need to make it again; yours looks great. I think I’ll try this with coconut oil to see how it works – looks amazing! Everytime I come here you open my eyes to new wonderful products that I NEED in my life!!! Thank you! I’ve been wondering what to do with my bag of chickpea flour. Crushing on this oh so much!!! Any suggestions for replacing the oil? I don’t use it. Thanks for any suggestions.